Once again, Kara-Ka and Kale Kilit have demonstrated their fruitful and successful partnership at a seminar on the topic Innovations in the AL and PVC Windows by presenting the latest trends on the market. 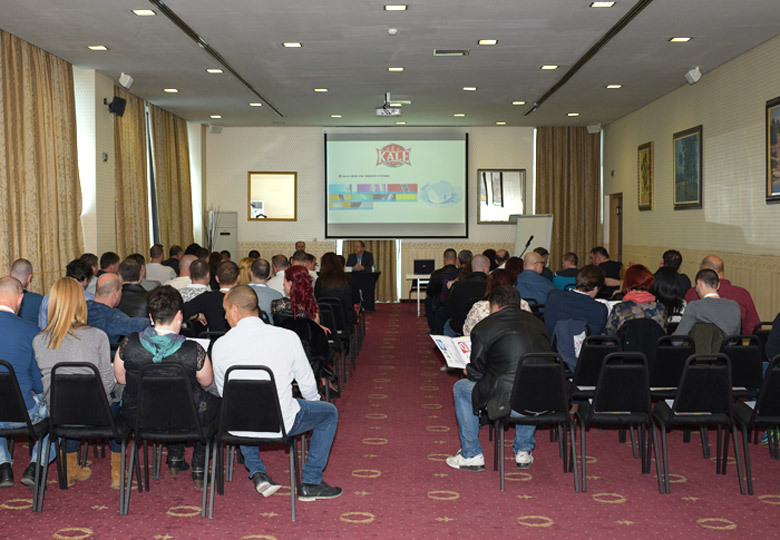 The event was held in the form of a professional training on March 30, 2018 in the Panorama Hall in Best Western Hotel Expo in Sofia. All attendees had the unique opportunity to participate in the workshop at which we provided thorough information on the new trends in AL and PVC joinery, as well as details on the business strategy of Kale Kilit's – an international leader in the production of locking mechanisms and systems for windows. Among the guests of the event were our long-standing clients, prominent architects, construction companies and distributors. Presenter at the event, which was accompanied by a proper celebration, was one of Kale Kilit's specialists with expert knowledge in our highly competitive sphere. After the presentation, a time for a traditional dinner has come. Our guests enjoyed fine dining, special presents and many surprises, among which were the latest models of Sharp Tvs.